In just a few days, the world will be overcome with green: Green beer. Green shirts. Green beads. Green hats. And corned beef and cabbage. What? Don't ask me. I've never heard of anyone eating corned beef and cabbage outside of an Irish restaurant or St. Patrick's Day. I'm not sure it's for me, but I made colcannon, which is basically mashed potatoes and cabbage, and I liked it, so maybe I should give it a try. Anyway, back to St. Patrick's Day - the celebration of St. Patrick driving the (non-existent) snakes out of Ireland, by drinking green beer until you can't see straight. Why? Because that's how Americans celebrate almost everything. Argentinians love to party and they have the 5th largest Irish population in the world, so not getting in on this celebratory time is simply crazy talk. The parade and a ton of activities, food stalls and more go one throughout the day. 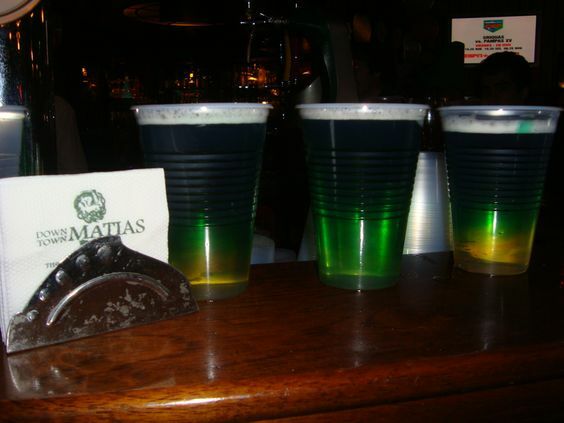 Because it's not an official holiday, it's celebrated on the Saturday closest to St. Patrick's Day (this year the 18th), so you can actually celebrate twice if you want, or spend the actual day going to church and the traditional things one would do on Friday, which I'm sure many of the 500,000 Irish in Argentina take advantage of. The city is famous for turning their river green each year for St. Patrick's Day. 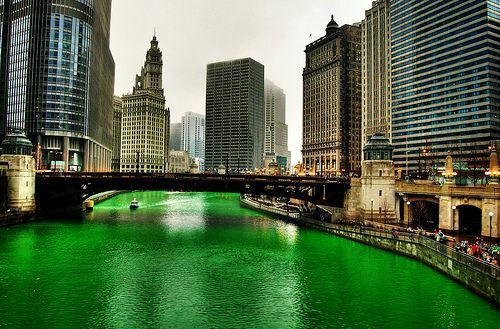 Once the Chicago River has been colored, it's time for the festivities to start. The parade takes place on the Saturday nearest the 17th, but there is a second celebration that takes place in the city as well. 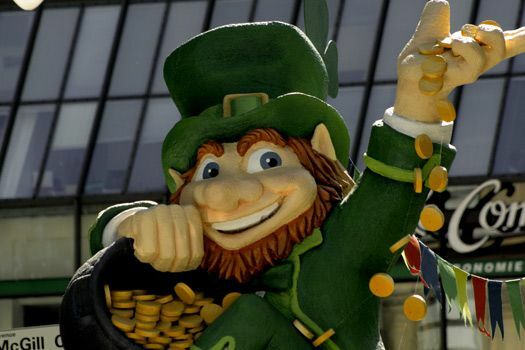 The South Side Irish Parade takes place the day after the downtown parade, so you can make a weekend of it. There are also many Irish pubs around town to indulge in some beer, music and food. The ultimate place to get in on the festivities is where it all began. Well, not the parties. The holiday was quite religious and secular in Ireland until fairly recently. The first festival to be held in Ireland didn't occur until 1996 and it was only one day. 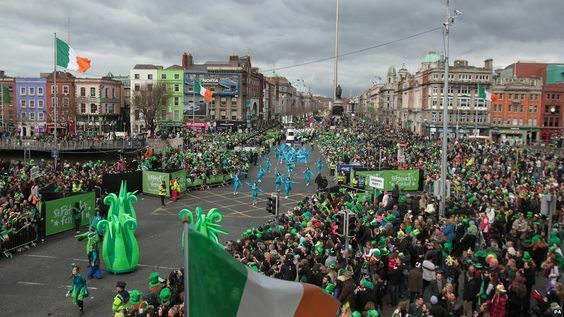 Since then, it has grown into a week-long celebration of all things Irish that draws hundreds of thousand of visitors every year who come to party, join parades, watch concerts, witness fireworks, attend sporting events, take in theater performances and, of course, to drink beer. Who knew that there was a place in Canada that was like being in a little version of Ireland? 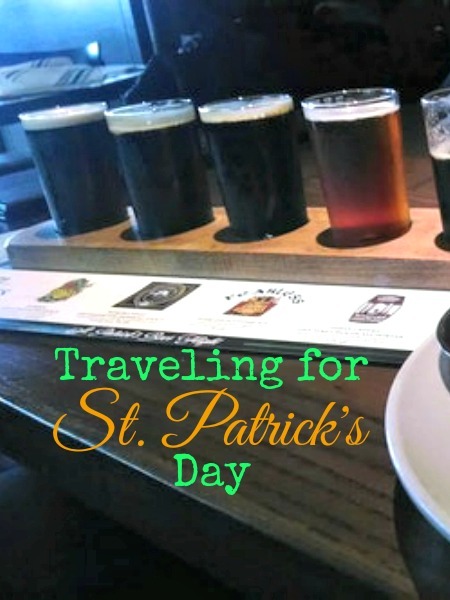 Despite being in the heart of French Canada, you can find a selection of Irish pubs and a St. Patrick's Day parade that's like the US Postal Service. Whether snow, rain, sleet or hail, the parade must go on. It always takes place on a Sunday and is surrounded by an Irish Film Festival, charity ball, luncheon and more. There's no surprise that a city built on immigrants has a large population of Irish and makes their celebrations its own. The city still has one of the largest concentrations of Irish in the world and their history can't be forgotten. 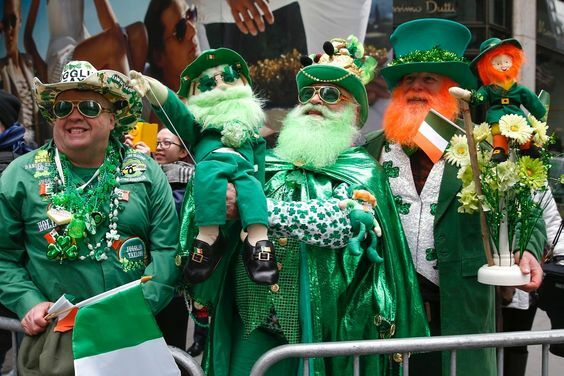 New York's St. Patrick's Day parade lasts nearly 6 hours, and if you can't make it there, or hate crowds, you can watch it online. If nothing else, you won't be surrounded by a bunch of drunks, as alcohol is strictly prohibited. These are just a few of the places that throw a great bash. It's by no means a complete list, as you can also find wonderful celebrations in Boston, London, the West Indies, LA and possibly even your own city. You won't catch me at pub chugging a green beer, wearing shamrock sunglasses, but I might be quietly sipping a Guinness and watching a local parade on TV.